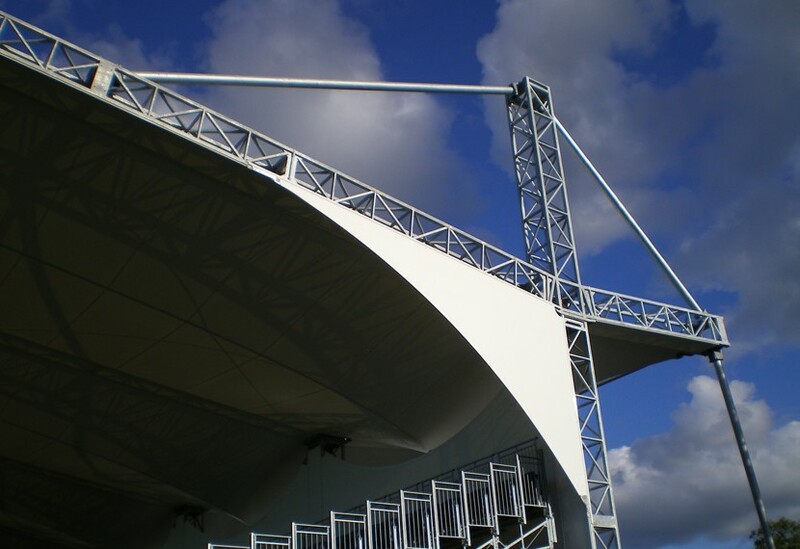 We provided the steelwork for this 120m long, 17m high demountable grandstand canopy, installed in 2008. 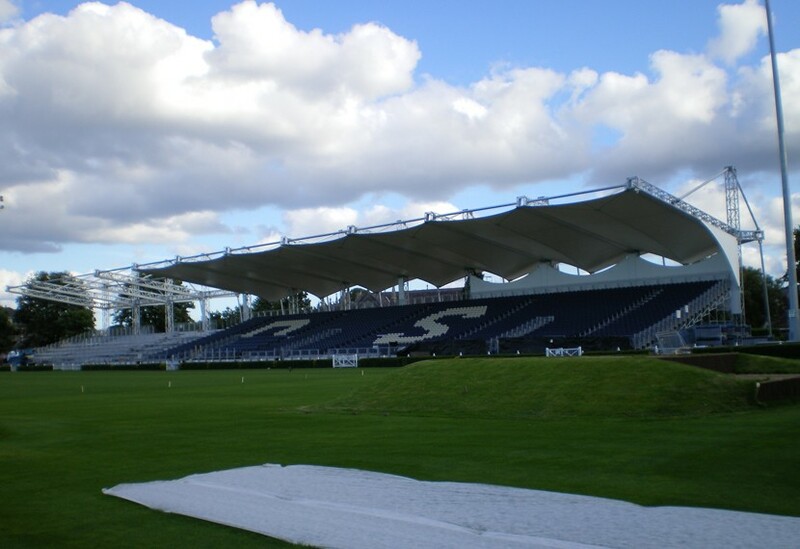 The structure, which covers 4,971 seats, camera positions and commentator facilities, can be removed to facilitate the hosting of large concerts during the summer months. 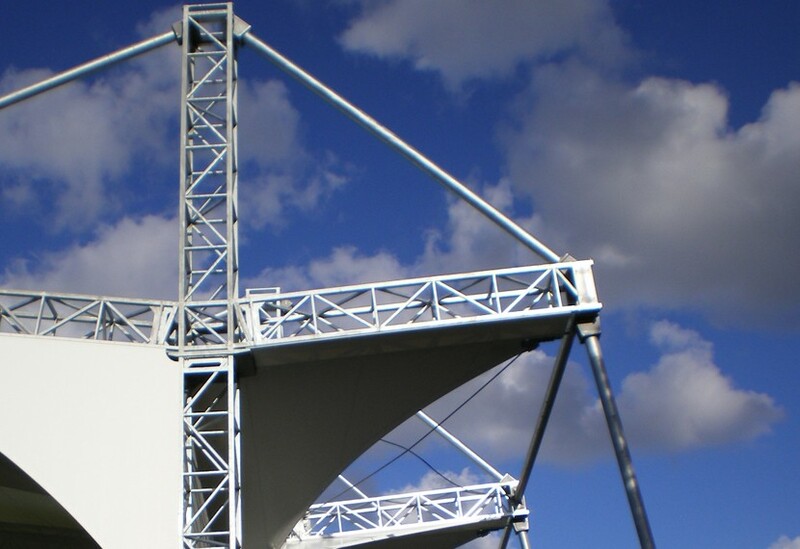 We designed the steelwork from concept through to final working drawings, working in close collaboration with the client’s structural engineer. The 120 tonnes of steelwork was fabricated in our workshops before being sent for galvanising and then shipped to site. 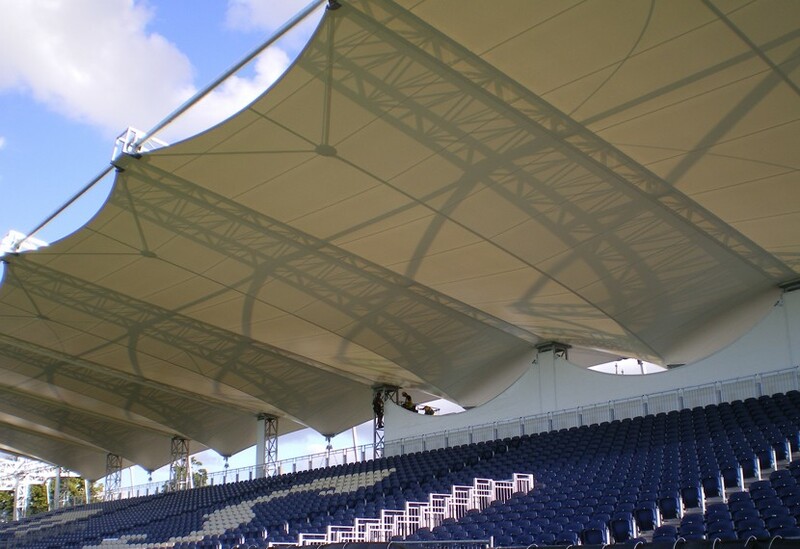 The structure was complex due to the integration of the steelwork with the fabric membrane and weatherproofing. The intended life span is 20 years.